While I know the internet is saturated in holiday gift guides, I couldn’t resist adding one more to the mix. This gift list isn’t specific to a certain recipient but has ideas for your mom, best friend, in-laws, and more. 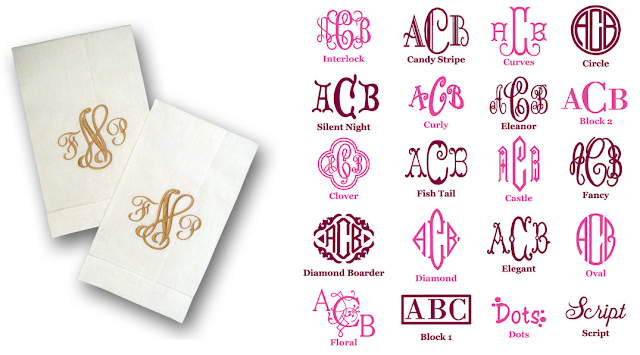 What makes them similar is that they are all monogrammed, but not in an annoying over-the-top kind of way. 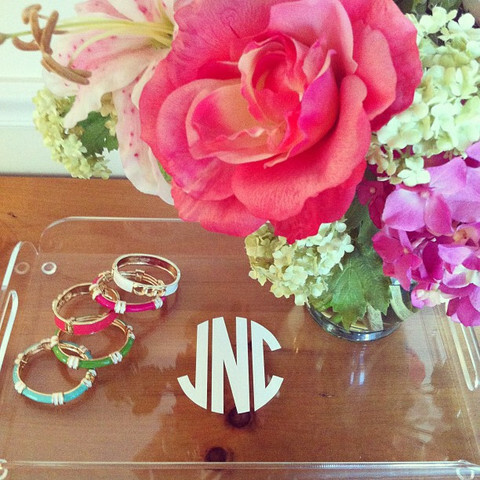 Monogrammed toe rings and pog cases be gone! There are some household items that you could gift a couple or family and some more personalized items for the ladies on your list. 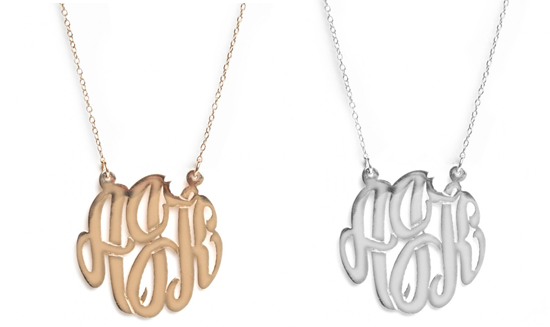 Without further ado, my Top 10 Monogrammed Gifts for this holiday season and beyond. One of my favorite gifts to give for weddings is a return address stamp, and I think this would be a great gift for the holidays as well. Just make sure the recipient is in a semi-permanent place of living. Think M or H in the game of M.A.S.H. If you know someone who meets that criteria it’s a great original and useful gift. My go-to website for these stamps is Three Designing Women, but there are some awesome, less traditional versions on Etsy as well. Check. Them. Out. Or just type “address stamp” in the Etsy search bar and say goodbye to the next three hours of your life. Like me with my address stamps, my friend Brittany uses these as her go-to wedding gift. I can’t think of someone who wouldn’t enjoy this, and it’s another great gift for a couple or family. Neiman Marcus has a fancified one for about $100, and Design Darling carries a cheaper version for $42. Most monogram shops will carry these as well. I know Monogram Shop in Houston carries them if you're in the area. Lots of places have these, but two of my favorites are from Grandin Road and Pottery Barn. Super simpleton just the way I like it. 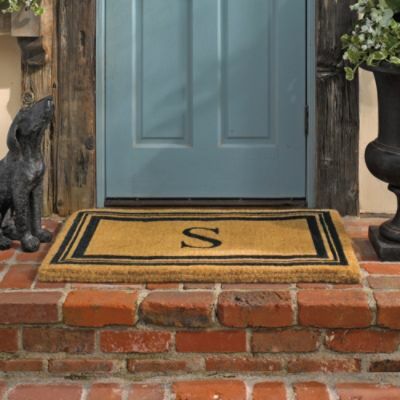 Although I can’t mention doormats without including the most hilarious doormat ever. I think I might gift this to myself considering 4 of the 15 apartments in my building have been broken into this year. 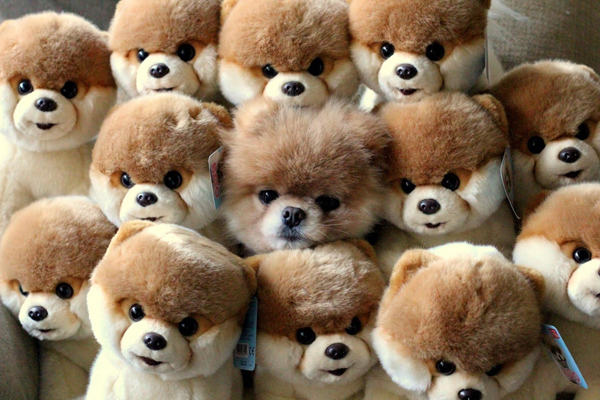 Anyone have a watchdog for hire? Nothing groundbreaking here. I’m sure you’ve all seen these before. But I sometimes forget about them and what a great staple tote they are. 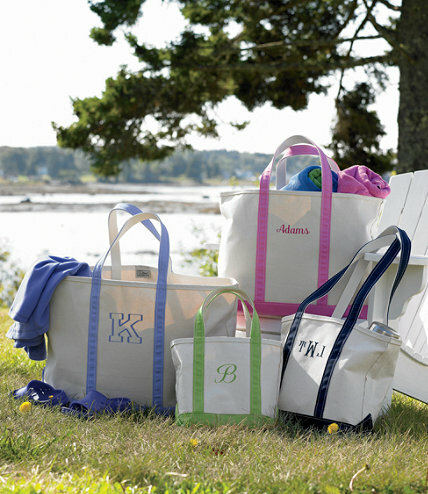 Perfect as an overnight bag, beach bag, diaper bag, etc. these can work for almost anyone on your list. I have included the most basic version here, but LLB has a few other varieties as well. 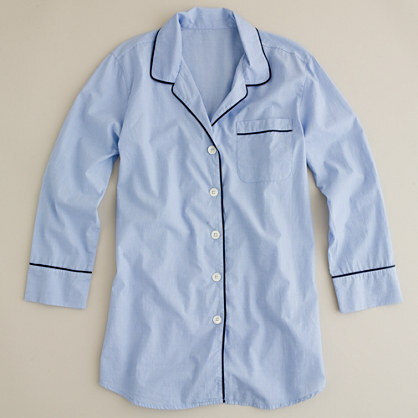 One of my friends from college gave Pinecone Hill monogrammed nightshirts as gifts to everyone in her wedding party, and I am still wearing mine regularly 3 ½ years later. I tried to find the same one she gave us online, but it looks like they are no longer making it. Sadness. I need another! I did however find some suitable alternatives. J. Crew has a cute blue version with navy piping, and Claridge & King has a very classic version available in 3 solids, 3 stripes and a gingham. These have been pretty popular of late in all sorts of versions (large, small, acrylic, metal, yada, yada, yada). My favorite version (which I have myself) is the small gold. I got mine from Bauble Bar and always get lots of compliments when I wear it. This would make a great gift for a recent bride/bride to be or any jewlelry-loving lady on your list. I do a very wee amount of entertaining in my apartment, but if I were to entertain a crowd other than me and a few cats friends I would need these napkins. Lots of ‘em. I think this would make a great hostess gift if you’re staying with relatives or friends this holiday season because it’s one of those things you didn’t know you wanted until you got it and likely something they don’t already have. 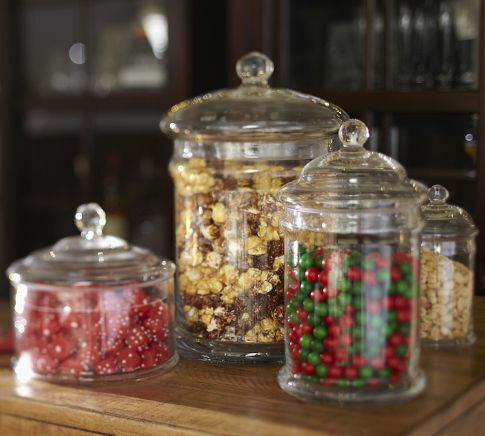 Another great hostess gift. 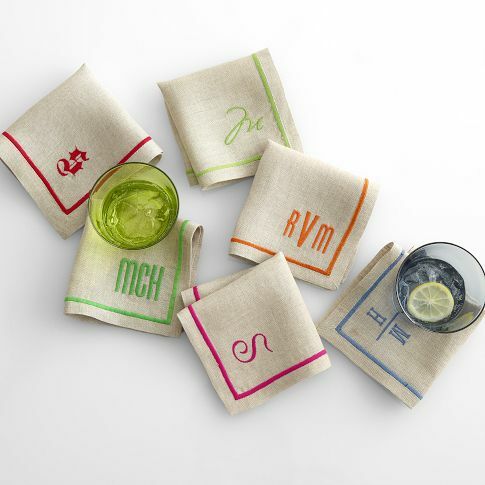 I prefer white linen with a white monogram – basic so as to appeal to the masses and just plain pretty. Can you tell I’m kinda boring yet? 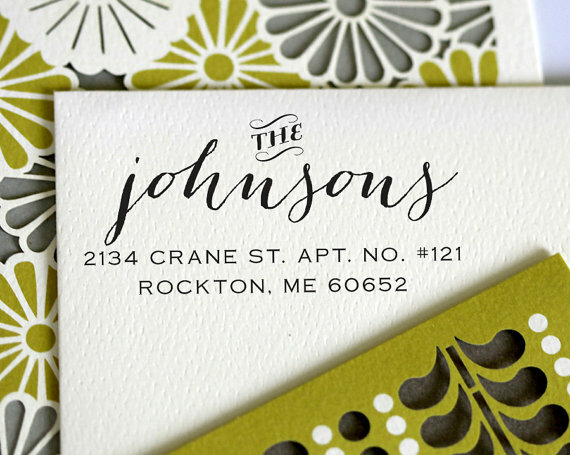 Etsy has about a bajillion versions of these as well, but I love this basic version with TONS of monogramming options. Hopefully this guide helps you cross off at least one person on your list. And more importantly helps you avoid malls AT ALL COSTS. Happy shopping clicking!